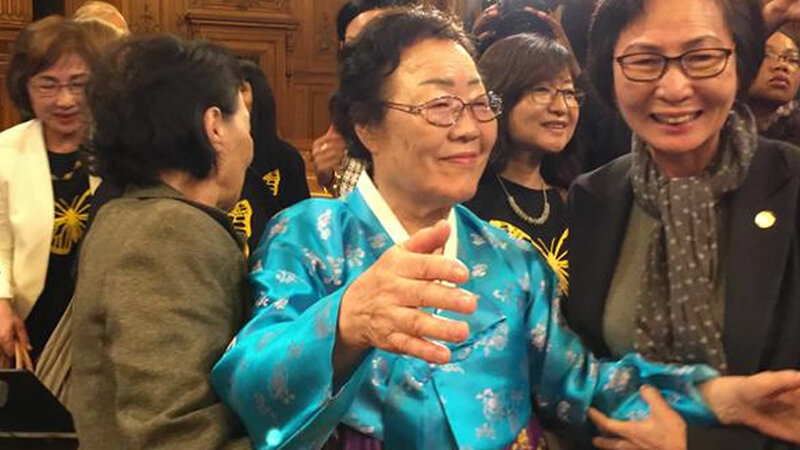 SAN FRANCISCO (KGO) -- The San Francisco Board of Supervisors has unanimously passed a resolution to establish a memorial dedicated to the so-called comfort women of World War II. The phrase was given to an estimated 200,000 Pacific rim women who were forced into prostitution by the Japanese Imperial Army. Similar memorials have been established in the cities of Glendale and Rohnert Park. One of those women was in attendance at the meeting Tuesday afternoon. She could be seen smiling after hear the resolution had passed.